Part of this piece was written for a recent conference panel talk—that actually instead turned into pure Q&A—so the beginning, at least, starts off pretty formally with background. 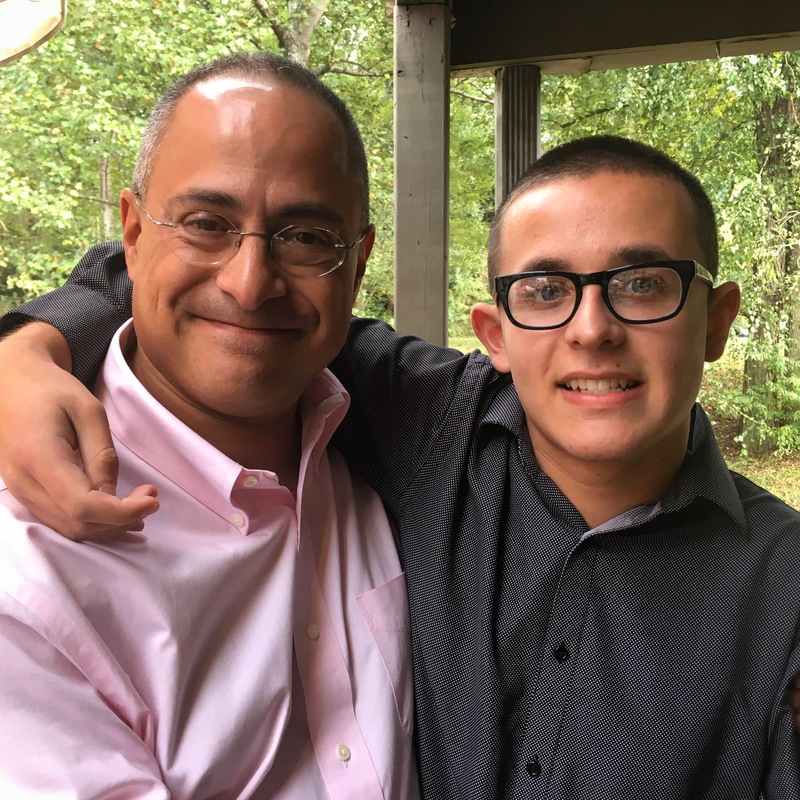 Like all my work involving him, my son Nicholas has read and approved this article, because he hopes his journey—and ours together—will help others. My son, Nicholas, turned 18 on September 29, 2018. Nicholas is autistic, and he is an exquisitely heartful—sweet and loving—young man. Nicholas is in 12th grade at T.C. Roberson High School, a large Buncombe County, North Carolina, school. He is enrolled in what’s called the Occupational Course of Study program, which is a degree or non-degree special-education program that includes work-preparation and internship-hour opportunities and requirements. 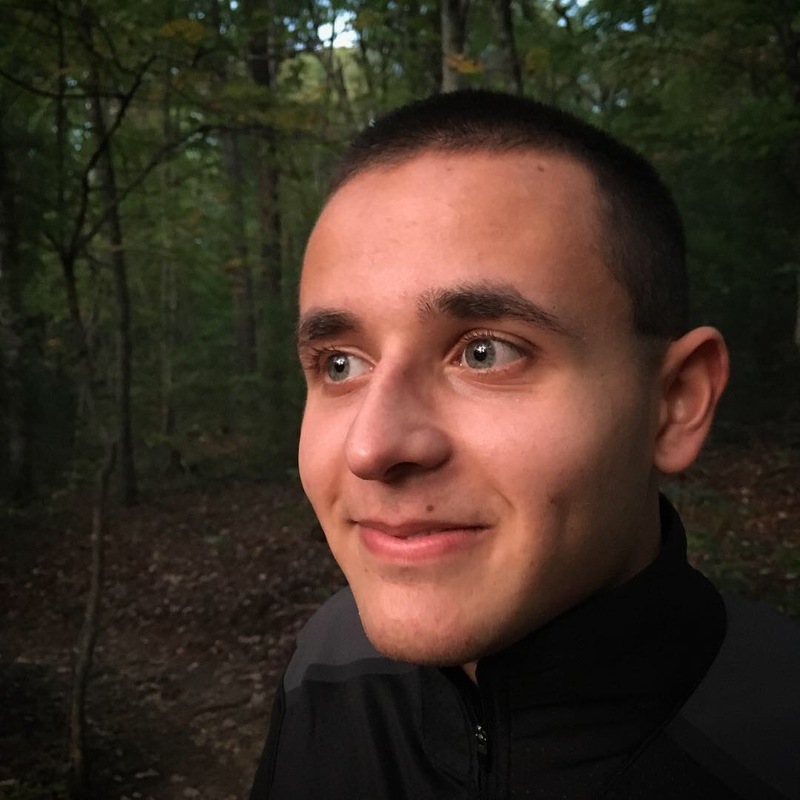 Nicholas interns at the local YMCA, where he has worked since summer 2017 in both volunteer and internship roles, and for an autism classroom at Koontz Intermediate School, a school for fifth and sixth graders that he himself attended when he was younger. Nicholas will graduate on time with his high-school degree in spring 2019. Nicholas has diagnoses of autism, obsessive-compulsive disorder, expressive speech disorder, receptive speech disorder, tic disorder, and intellectual disability. He had a stroke four years ago, resulting in facial asymmetry and a diminishment in cognitive capacity, physical coordination, and clarity of speech from aphasia. Nicholas has severe pancolitis, a form of ulcerative colitis, that onset acutely and hospitalized him for the better part of a month in November 2016 as blood poured out of him and he lost 30 pounds. He came very close to a blood transfusion and having his colon removed. In several ways, physically and psychologically, he is still recovering from that episode, and he will continue on an immunosuppressant infusion regimen for the rest of his life. This medical fragility, layered on top of his autism and disabilities, has further impaired Nicholas’ cognitive and social capacities and development even as he has reached chronological adulthood, and it has made his support needs, at least as a young adult, more pronounced than they otherwise might have been. As an autistic special-needs child approaches and reaches adulthood, there’s a point at which parents and families take a turn that really only becomes obvious once you’ve taken it, at least in how it feels. The parental goals of childhood—of seeing your child through it, hopefully with happiness playing a large part, and supporting her or him as best you can on that journey of everything from potty training and developing speech or communication of whatever kind to navigating school and social dynamics, so very many things, really—morph. What felt like the finish line—well, what was the finish line—reinvents into a whole new panoply of opportunities and concerns, challenges and education, things to learn about and things to get done, or not to get done. Maybe you own them, maybe your child owns them, maybe they’re shared, depending on circumstances, capacities, vision, and intentions, yours as well as your child’s. You’re older, and you feel older. Your child is older and no longer a child. You realize calendar pages and clock hands have turned and turned again many times for you both. They are continuing to turn. Where will the person live—now, 5 years from now, 10 years from now, or when the primary caregivers die or are no longer able to provide care? Who will provide care then, to the extent it is needed? Can the adult autistic drive? Does he or she want to? If not, what modes of transportation are accessible to the person? What economic means will the person have to sustain herself or himself? Will he or she have friends? What about sexuality? What does a healthy relationship look like? What do choice and consent mean for an adult with cognitive disabilities? What safeguards need to be established against being taken advantage of? Against being abused? What does independence look like? Is it a goal and, if it is, whose goal is it—the adult autistic’s, the primary caregiver’s, or both? Or is it just assumed as the most desirable end? For an adult child, parents and families soon no longer have school IEP meetings to fight for rights, accessibility, and inclusion. But many of the same questions we wrestled with in the school setting extend into adulthood and society: Will he or she be isolated or included? How do we foster more inclusive communities broadly, but also more specifically take steps to ensure our child feels a part of the world, not an outcast? So many disabled and autistic adults experience isolation and often depression. Does he or she need legal guardianship? And whose “needs” does guardianship really best fulfill? What supports does he or she need to be successful at a job? To be safe and well at home? And, even if we are able to answer these questions fully and accurately, how do we ensure these supports will be provided? Why are we setting things up in the way we are or setting whichever goals we choose? Is it so the person will fit into society? Is it so our child, now an adult, will meet our own expectations of what he or she should be? So the adult can be happy? So the adult can survive, literally? Whose expectations, desires, goals, and dreams are setting the life path and supports: the parents’ or caregivers’, or the adult child’s? As an adult, just like as a child but even more so, the autistic person herself or himself should be given every opportunity for self-determination—participating and, whenever possible, making the fundamental choices for her or his own life. For my own son, that can be challenging. Nicholas always wants to please, to give the “right” answer. He will seize upon the options presented to him. How best to give him options, then, and genuine understanding of them, and how to ask questions without bias? Even in selecting options, you limit possibilities. How do you best support a disabled autistic adult in the most respectful, honest way possible so he or she can live her or his best, fullest, and most authentic life? How do we ensure the person has the greatest agency possible? Of course, for an autistic person no less than for a non-autistic person, sometimes choices are given to us and sometimes they’re taken away. That’s part of the reality of the world. Life happens to autistic adults just like everyone else. Someone dies unexpectedly. You have no money. You’re lonelier than you want to be and don’t know how to fix it. You don’t have a place to live. You have a stroke. Someone becomes involved in your life and you need them, but maybe it feels intrusive or even abusive. Or you just don’t like them as much as they like you. So, caregivers wrestle with all this, and as we do we just keep aging. And I especially mean that part: when you talk to older parents of older adult disabled autistics about the future, what you hear about frequently is the parents’ fear of their own death because of their stark fear about what will happen to their child when they die, regardless of what has or hasn’t been set up for that approaching time. This fear is palpable and manifest. It is a passive indictment of the state of communal supports and even basic concern for adults with intellectual and other disabilities, the absence of societal recognition of these deficiencies much less resolve to correct them, and the chasmatic cracks through which too many disabled people, and perhaps especially adults, fall far too often. For a little over a decade, a while back now, a big part of my professional life included interviewing mind/body/spirit authors and teachers. There are specific lessons from these interviews that stay with me, still. When I interviewed Byron Katie, one thing I took away, which only slightly morphs the actual content from the interview, is Katie essentially asking why you would ever think your child isn’t at least as—brave, wise, strong, kind, smart, you name it—as you are, and that worrying about dangers to them, making things up about that, serves your child no more or better than it serves you. Rather, if anything, it causes you both harm by distracting from and lessening the quality of the time you share together. So that needs to be emphasized certainly: the value and importance of sharing and experiencing fully each day you have together, each shared moment, no matter what the circumstances, choosing to experience life with love and joy. You do that while working toward what outcomes you can effect together while realizing you can no more successfully determine every outcome for your child than you can for yourself. And you shouldn’t want to: their life is theirs. At the same time, we can work together and build practical support scaffolding, trying to put in place supports and services that are needed and appropriate, involving people—some combination of family, friends, and organizations with paid staff— who are aware, engaged, and responsive to changes in what is needed and appropriate and inviting of opportunities. We should be realistic about all this, but also realistically ambitious. 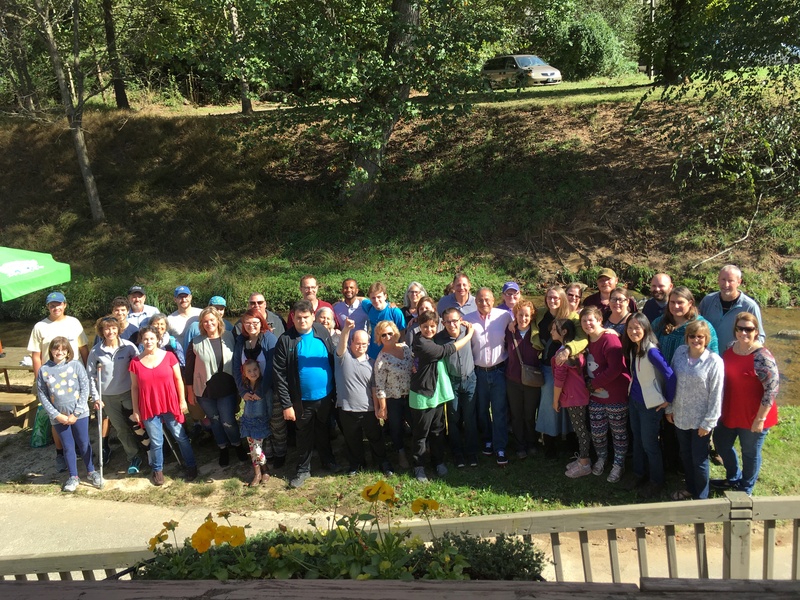 Often, parents, families, and professionals suffer from a deficit of ambition for intellectually disabled autistic people, both as children and as adults. We limit what’s possible for them—what’s made available as possible—and what their lives can be. Intellectually disabled and autistic children are often referred to as developmentally delayed. But they turn 18 or 21 and—bam!—we suddenly instead think about them as if they’re developmentally done. We commonly base our vision of their future on how they fit into non-disabled, non-autistic, non-developmentally delayed frameworks and general “age appropriate” societal norms. That’s true for support organizations and programs, as well as for parents. We miss something here. Developmental delay means that much life development happens in adult life for autistics, after age 18 or 21—maybe even more so than it does for us the rest of us. The starting place for choice and decision-making every step of the way in that development and that life must be the disabled person herself or himself, and so promoting authentic self-expression is essential. Creating and developing tools and strategies for greater independence as well as fuller expression, sometimes aided by supportive technology, are fine parts of this if independence is a genuinely understood and shared goal. I’m at the start of this part of the journey and more living the questions than offering a roadmap of answers for anyone, including myself. But, too, I’ve experienced a fundamental shift. Nicholas enters adulthood, I think, with joy. He is proud to be 18. He feels good about who he is, and he is aware of the harder times he has overcome. He embraces life, and he enjoys each day. He hikes and swims, juggles and shoots hoops. He has some friends—not as many as he’d like—and especially several wonderful support workers. Still, the primary person he spends his time with—his life with—is me. When he was younger, I would worry about who would love Nicholas when he was older, especially when I’m gone. That’s a huge and important question, to be sure. So many autistic adults are so very lonely. But I also now realize what’s even more important than who will love Nicholas. Who will Nicholas get to love? Nicholas is the person I’ve known best in my lifetime, the person closest to me and who has loved me the most, and if I’m right about anything about him, it’s that this is the answer to his “Why?” question. I receive a lot of compliments about how I parent Nicholas, but believe me, Nicholas loves and cares for me—and takes care of me—every day. It’s an essential part of who he is, a vital part of his sense of self and conscious identity. It’s the foundation of his self-esteem. Nicholas sits next to me on the couch in the evening, and just as likely as the other way, he pulls me in and holds my head gently. He is filled with intention and presence, with love. When he was younger and we were out, hiking or just in the community, when he was a little ahead of me Nicholas used to look back often to make sure I was still there—to make sure he was okay. Now he looks back to make sure I’m okay. Every time I stumble, which is a few too many times when we’re hiking, he says, “Are you okay, Poppa?” Often, he holds my hand and pulls me close, literally caring for me. Nicholas knows, and speaks the language, of taking care of people, and it most fully expresses with me. Being with him brings me joy, to be sure, every day. He has been the best part of my life, from start to finish. But who will Nicholas get to love later on and when I’m gone? No matter what supports, plans, and structures are put in place, I can’t know that for his life. And I don’t get to make those choices for him, anyway. He does. All I can know for sure right now is that, whoever those people are, they will be incredibly blessed. It was such a pleasure to meet you the other day! This piece is written both well and beautifully, something I appreciate as a writer, sociologist, and thinker somewhere along the spectrum, raising kids somewhere along the spectrum. I actually cried toward the end, b/c you put into words the very thought-feeling that keeps me engaged: who else gets to bask in the beauty of how incredibly loving these children-people are? It’s amazing to be part of their lives; an honor, really. Thank you for sharing. Ray, my only contact with autism is through sharing life through your and Nicholas’ adventure in growing and being. I read your articles for insight and to answer questions I have about autism; this article today is especially significant. You provide some answers and let us all know that some answers will only be available tomorrow, or next week, or in 2025 or later. Thank you – and Nicholas – for continuing to share your life’s journey.